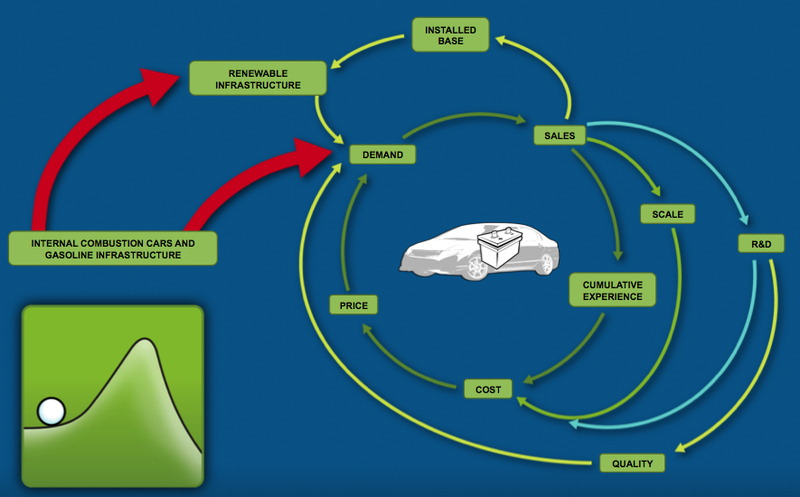 Good “systems thinking” news on clean energy from some rocking smart MBAs from Sloan/MIT, in this guest post by Trae Wallace and Christina Ingersoll. Check out their PPT presentation that tells the story here. The same economic dynamics that generated the immense explosion of wealth we’ve experienced since the industrial revolution can be harnessed to create a system of clean, renewable energy. If we can create the incentives and infrastructure for developing these solutions, market-based growth and innovation will accomplish the rest. This presentation (download it here) examines the dynamics that drive industrial growth, the impact of lock-in on the growth of a new industry, and how a limited and temporary public support can break lock-in – get the ball rolling – and help to deliver the clean, renewable energy system that will drive future economic growth in a sustainable way. Establishing a price for carbon is a critical first step in this process. As long as emitting carbon pollution is free, there is an overwhelming incentive to use carbon-heavy energy over clean renewables. However, with an energy infrastructure explicitly designed for extraction, processing, and delivery of fossil fuels, just making carbon expensive just leaves us with an expensive energy system. The lock-in of existing infrastructure makes it reasonable for individual economic actors to continue using the expensive system rather than making the jump to a new system – even if the new system is better for everyone involved. To get the new system started we need public support to break the lock-in of the existing infrastructure. Go here to view the full PPT. Great presentation. 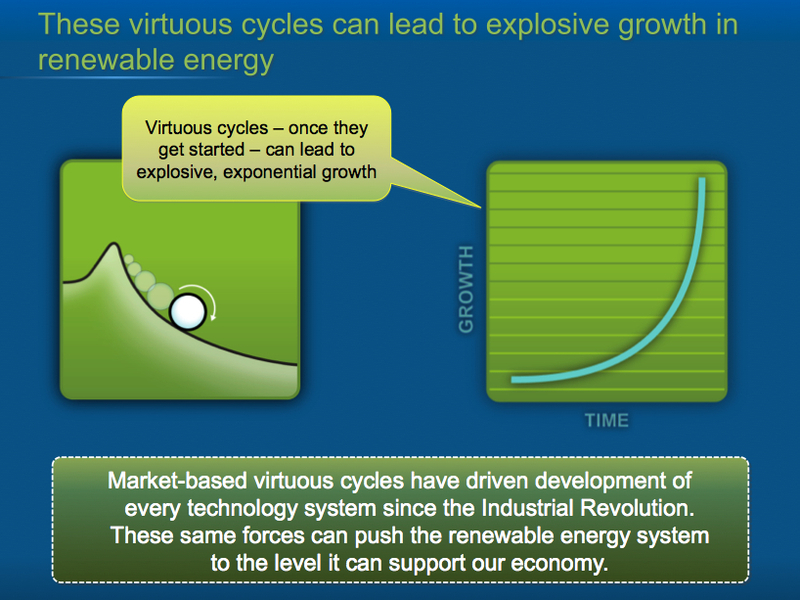 A really clean and simple explanation of clean energy system dynamics. I especially like the slide that says this is a choice between two systems, not just two products. Thanks for sharing Drew and others.